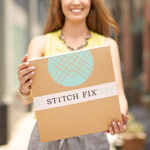 Body shapes, figure "flattering" outfit tricks—we've read it, wrote it and seen it all. But really, there's no right or wrong way to dress your shape. It's your body! When the weather really takes a turn for the frosty, we're all about textures, rich knits, oversized sweaters, jackets and layers for days. Here are some of our favorite fall trends and how to wear them to flaunt your fave features. 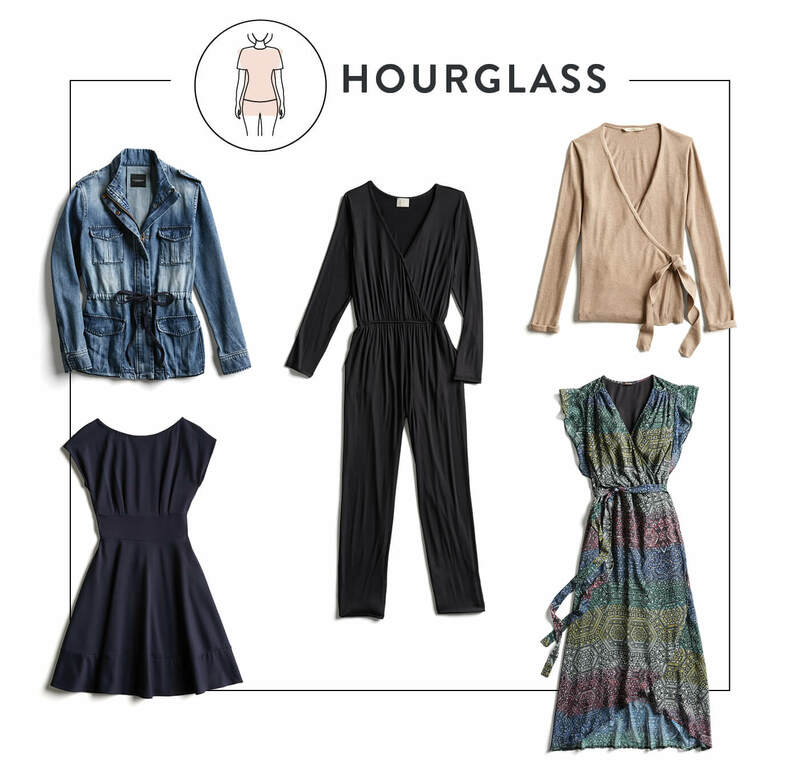 Keep reading for simple tips and tricks for dressing for your body shape this season. You tend to carry your weight in the middle. You have long, lean limbs & toned legs. A formula for stylish success? A dress with a looser waist, ankle booties and opaque tights. Feeling more casual? Take advantage of the season’s lightweight knit tops in looser styles (bonus points for a wrap top!) 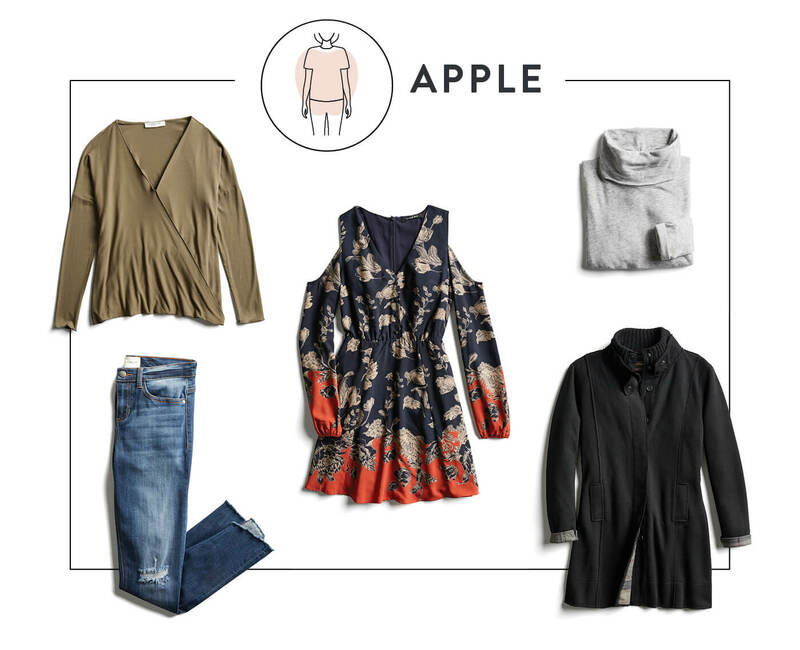 and layer on a structured jacket or sweater for a simple, modern look. Your waist is the narrowest part of your body. Your hips tend to be wider. Have fun with volume! On-trend details like bell sleeves not only give the simplest outfit a mood boost, but they’re perfect for drawing attention from the waist up. Need new jeans? 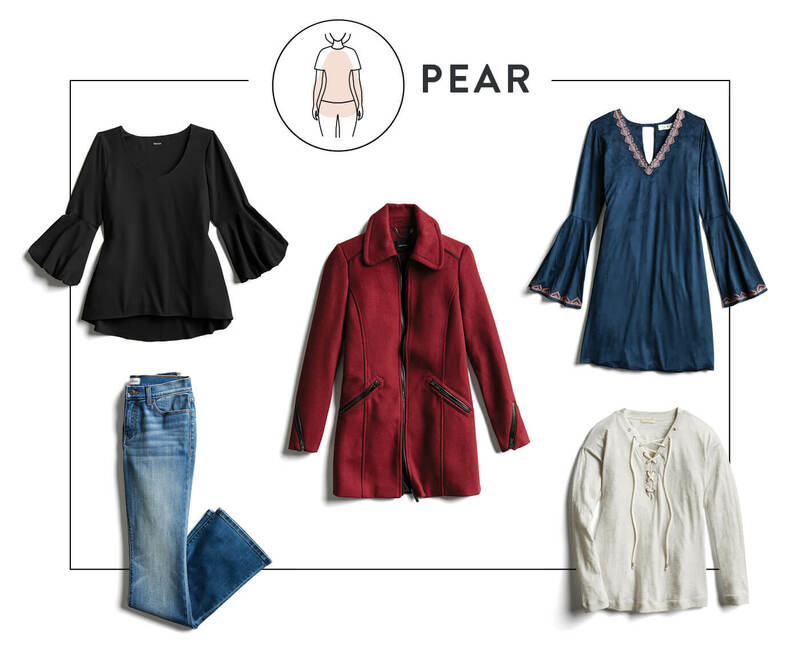 Try a new silhouette like high-waisted, wide-leg jeans—perfect for the pear. Your bust and hip are approximately the same size. You have a narrow waist. You have curves for days. This fall, make sure you add styles like wrap tops and dresses to balance your broad upper half by accentuating your legs and other curves. And, since you’ve worked hard for your toned arms and legs, take a moment and really embrace skinny jeans and body-skimming dresses! 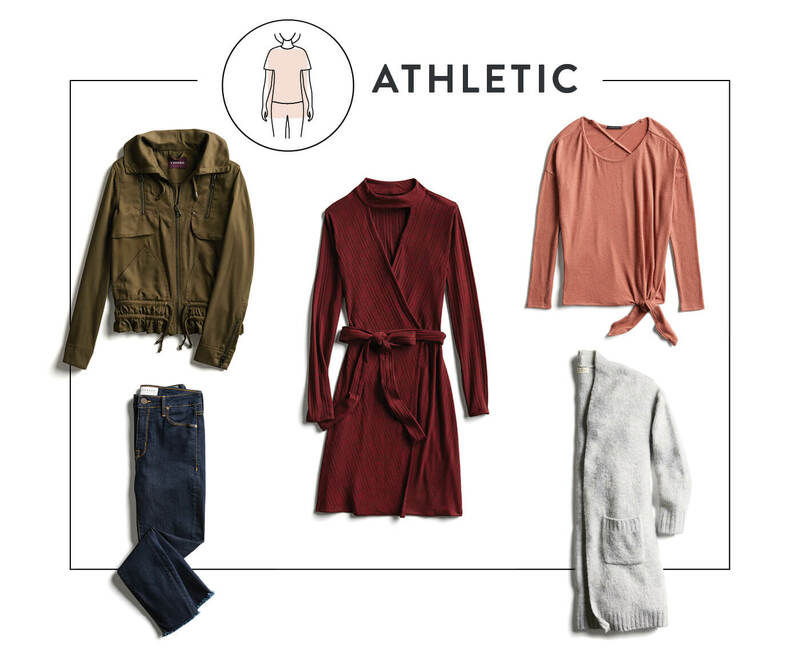 How are you dressing for your shape this fall? Tell us in the comments!